They may, in fact, speak very kind words to you. And appear nothing but supportive to those around you. Their covert abuse is administered in small, cunning ways over time. So the impact is gradual, not fist-to-the-eye immediate. What struck me about this quote is the fact that emotional abusers are very passive, very subtle, very quiet. 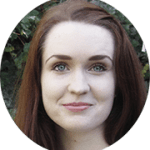 The tricky thing with emotional abuse like anything quiet and unobtrusive is that it can be overlooked easily, blending into the background of life. Luckily, however, it can lead traces of something “not being quite right” in your relationships – something wrong that you just can’t quite put your finger on. My hope is that this article will help introduce, or reintroduce, you to the world of emotional abuse. If you do decide to continue reading, please consider introspecting and reflecting on yourself and the people in your life. It could make all the difference in the world. 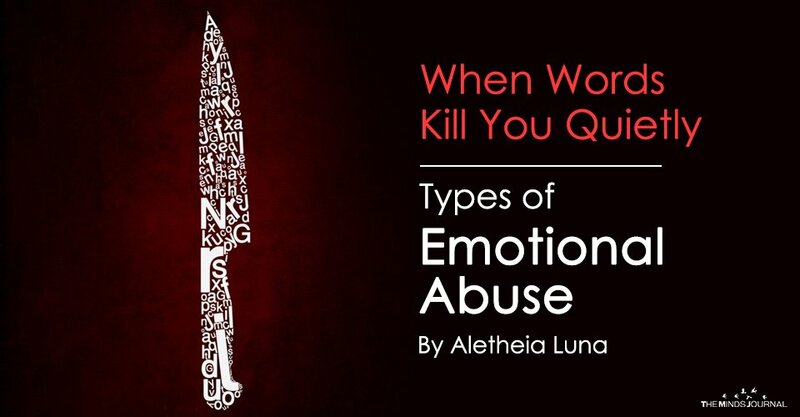 Emotional abuse is also known as psychological or mental abuse. Its aim is to control, belittle, isolate and shame other people into subservience. This happens little by little over time, so that the victim’s sense of self-worth, self-confidence, self-concept and own ideas and perceptions erode. Many emotional abusers operate under the guise that they are “teaching”, “advising”, “correcting”, and/or “guiding”, and therefore fly under the radar, spreading their poison for years upon years. 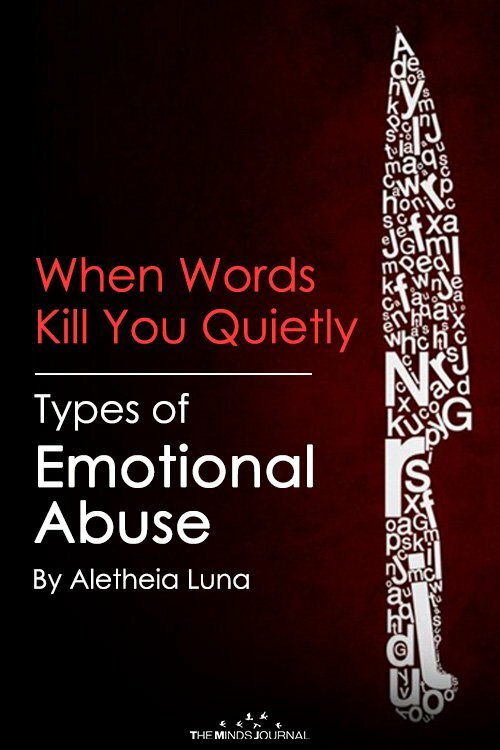 Emotional abuse rarely just involves criticisms or put-downs. I’ve listed some more kinds of abuse below that you should be wary of. Also, be a bit careful when you read this list. For instance, you may find one or two symptoms of emotional abuse apparent in your life, but it doesn’t necessarily make your relationships absolutely and utterly emotionally abusive. The more symptoms you recognize, the more likely you’re experiencing emotional abuse. They may control your money and your spending. They may treat you as an inferior person. They may make you feel small by reminding you of your faults and shortcomings. They may make you feel as though they’re always right, and you’re always wrong. You may feel the need to “get permission” for everything you do, or decision you have to make. They may give you disapproving, or condescending looks and comments. They may “chastise” you, and treat you like a child. They may control where you go, who you interact with, and/or what you do. They’re excessively possessive and jealous. They may have difficulty taking responsibility for their actions. Instead, they deflect the blame onto you. They may have no regard for, and no interest in, the way you feel. They may use “the silent treatment” to punish you. They may withdraw affection from you to punish you. They may become deliberately emotionally distant from you for long periods of time. They purposely neglect to share important pieces of information with you. They may neglect to give you privacy, or purposely disrespect your boundaries. They may call you names, or label you. They may belittle your success and triumphs. They may mock, impersonate or otherwise talk to you in sarcastic ways. They may accuse you of things that you never did. They may degrade or subtly humiliate you in front of other people. They may frequently make jokes at your own expense.